A salute to you, oh mighty Hopfest. Other than a brief period of wind that amounted to all sound and fury signifying nothing, we have to say that Saturday’s Hopfest was another excellent outing for newbies and craft beer veterans alike. A big thank you to Marne Gaston and her army of volunteers for keeping it all running smoothly, even when Mother Nature did not want to cooperate. There were many beers to be had, and for once the Crew did our best to not go overboard. Still, we found some new ones we liked, others we would rather skip, and oh dear lord that slab of smoked meat that Clinton Coker gave us from the Sandia Chile Grill booth was epic. We all need to visit SCG again as soon as we can for more smoked meats. Oh, and that Legacy Mead was pretty damn epic, too. Canteen had some Exodus for us. It was still as wonderful as ever. Cazuela’s hit a couple home runs with Kilt Kicker, a smoked Scottish that does not just taste like roasted peat. Also, the award-winning Beer For My Horses remains one of the best oatmeal stouts in town. Marble’s Imperial Red is still one of the finest beers they make. Ponderosa unleashed Walther IPK, which is a definite contender in the “Beer Name of the Year” contest we are going to hold before 2015 ends. What is an IPK? It is an India Pale Kolsch, so basically it is a big old blast of tropical hops on top of a Kolsch base. Nice work, Andrew. Red Door and Rio Grande/Sierra Blanca both had excellent Milk Stouts available. At long last, we got to try Santa Fe’s Autonomous Collective IPA. Franz Solo is convinced it would have been among the finalists at the IPA Challenge had things gone right with the keg at VIPA. Try it while it is still available (only at the brewery). For a nice blast of hops without the heavy ABV, head over to Tractor for Big Sipper Session IPA. ABQ-area breweries are getting really good at sessions with actual flavor. 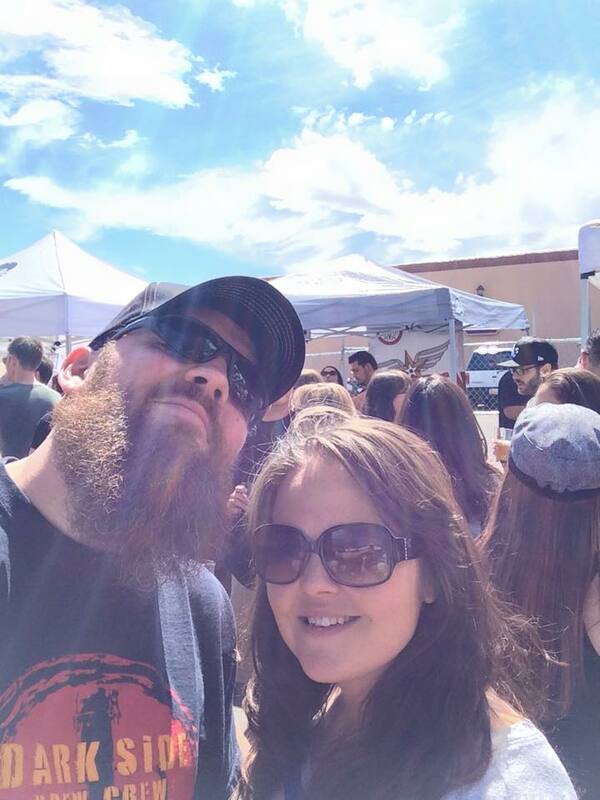 So rather than ramble on, and since I’m currently finishing this story from Denver on our way to Avery Brewing in Boulder (don’t forget, they’re having a tap takeover at Nob Hill Bar & Grill tonight with some righteous imperial-strength beers), here are some photos of Hopfest from our good friend Mario Caldwell, plus a selfie from Luke. Sierra Blanca/Rio Grande always wins for alien design. No one has Karl’s style. Hope you all had as much fun as we did. To save the beer, the tents had to be surrendered to the wind. Our man Patrick on the taps at Marble. Patrons pitch in to fight the wind. The calm before the literal storm. They brought the Autonomous Collective from Santa Fe at long last! The Crew had a most metal day at Hopfest. We will see you all out at Mountain West Brew Fest this weekend. Until then, Franz Solo and I are off to Avery. Gotta fill the trunk! All the tools a beer writer needs to get the lowdown on the state’s newest and biggest upcoming festival. 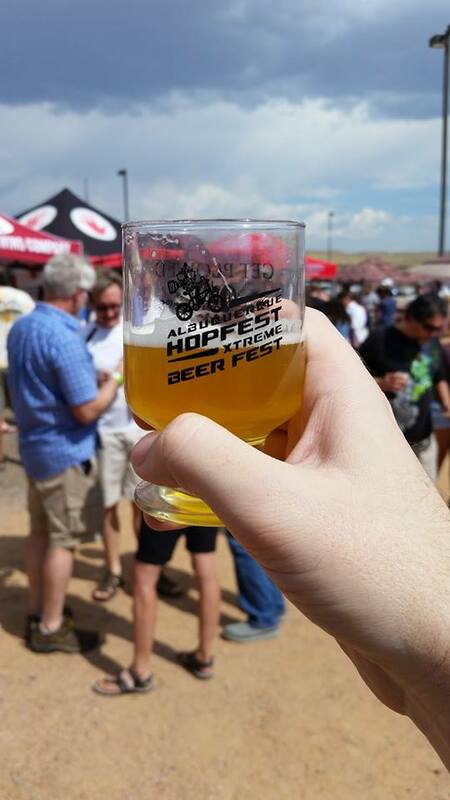 Festival season arrives on Aug. 29 with old favorite Hopfest back at Isleta Casino. 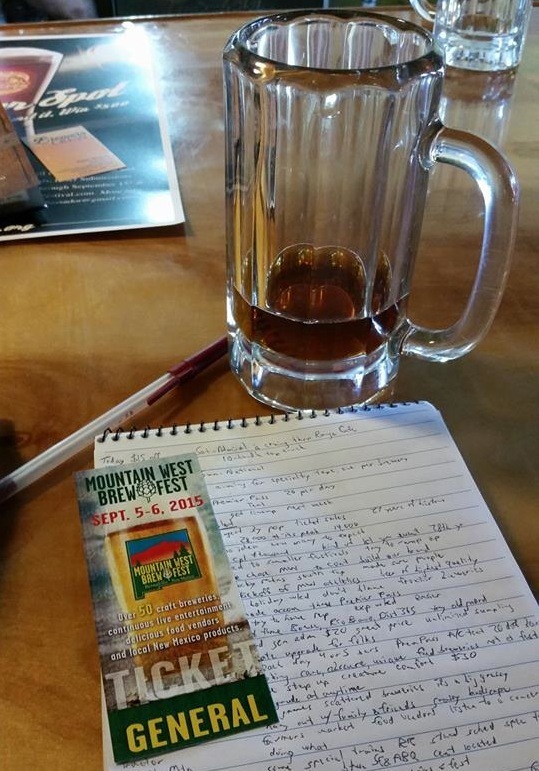 While that event is one we know well, many have begun to ask the Crew about the next big one on the New Mexico calendar, the Mountain West Brew Fest. The event will replace the old Labor Day weekend wine festival at Loretto Park in Bernalillo, running from noon to 6 p.m. on Saturday, Sept. 5, and Sunday, Sept. 6. It will feature over 50 breweries in attendance, from in-state and out-of-state, plus a whole heck of a lot more than just beer. To get all the details, I met up with New Mexico Brewers Guild director Chris Goblet at Kaktus Brewing on Tuesday afternoon. Over a couple mugs of Berna Brown, we pretty much covered everything that you want to know, short of the specific beers available (a list that Goblet hopes to send over next week or the week after at the latest). For now, to answer the first question most people have asked, here are the breweries scheduled to be in attendance. That is a lot of breweries, but if MWBF comes off as expected, it might be just the right number. 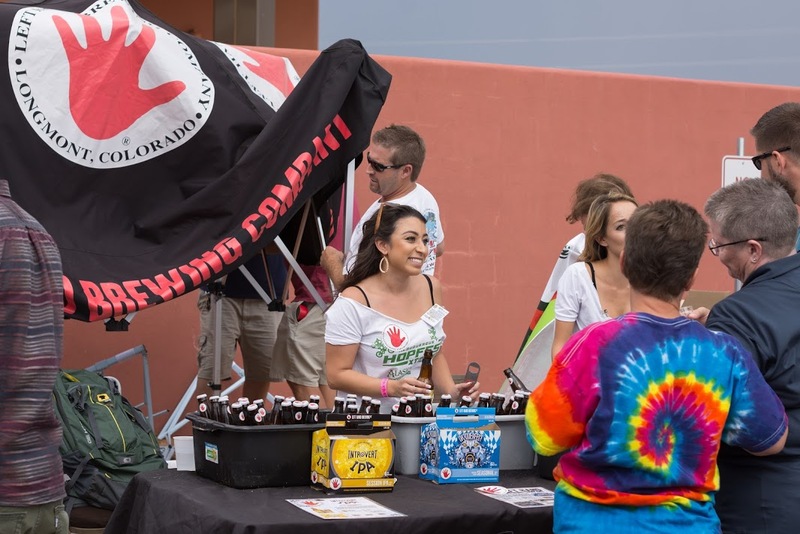 “We are planning to the largest craft beer event by population, by ticket sales, by attendees, that’s ever happened (in New Mexico),” Goblet said, noting that in its 27-year history, the Bernalillo wine festival had anywhere from a peak of 28,000 visitors to 14,000 last year. 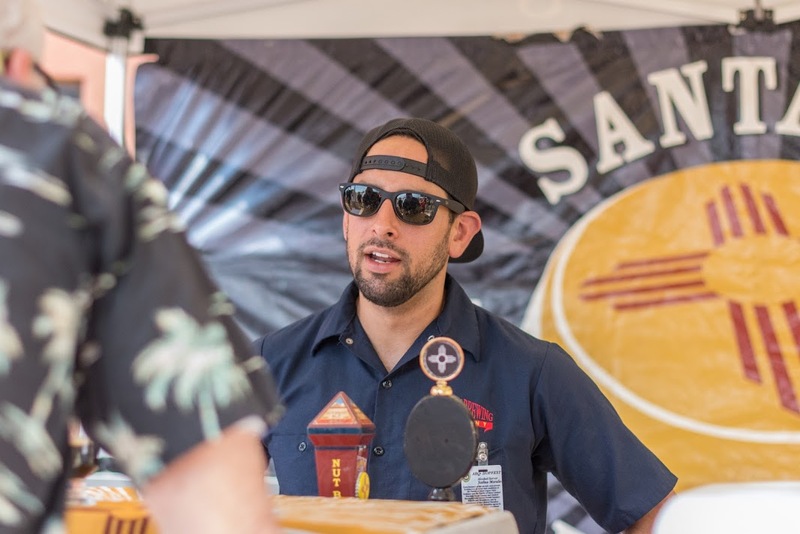 “As a part of this transition into this new craft beer era, we’re going to take a wine festival and somehow replace it with a craft beer event. So we have no idea how many people to expect. It’s a first-year event. We have no idea if some of those wine drinkers will come join us or if they’re going to go to the wine festival at Isleta. It could either be a couple thousand people or it could be 10,000 people. 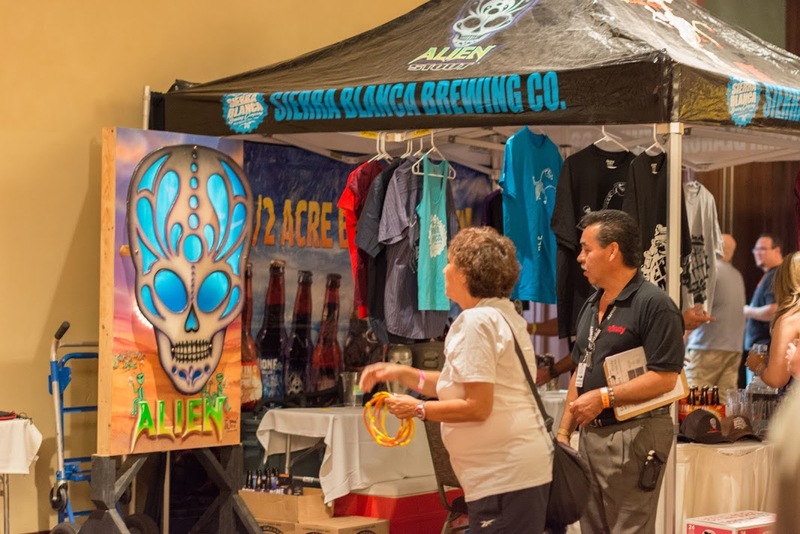 While there are some California and Oregon breweries in attendance (Anchor, Anderson Valley, Deschutes, Full Sail, Green Flash, Lagunitas, Sierra Nevada, Stone), the hope is that the MWBF will grow into a major regional festival. New Mexico has long been a state caught between three regions — West Coast, Southwest, Rocky Mountain — but part of the thought in naming this festival Mountain West was to identify more with the latter. 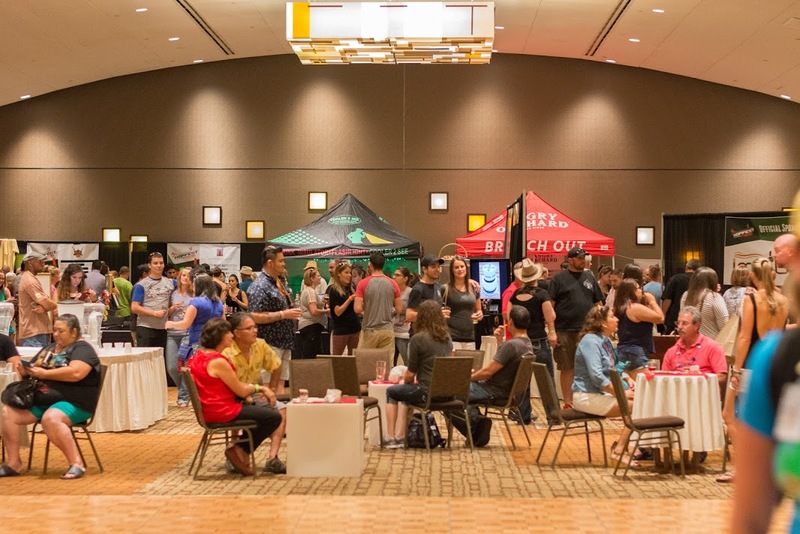 “We chose the name Mountain West Brew Fest specifically because we’ve been wanting to continue to build our brand as one of the Rocky Mountain states for craft beer,” Goblet said. “Rocky Mountains, we’re the southernmost tip. The water from Colorado flows into New Mexico. We think that New Mexico has been doing an amazing job representing itself as a solid West Coast craft beer producer. So we wanted to make sure people identified New Mexico not just as a southwest (state) like Arizona, Texas, and Nevada, but really a Mountain West state. 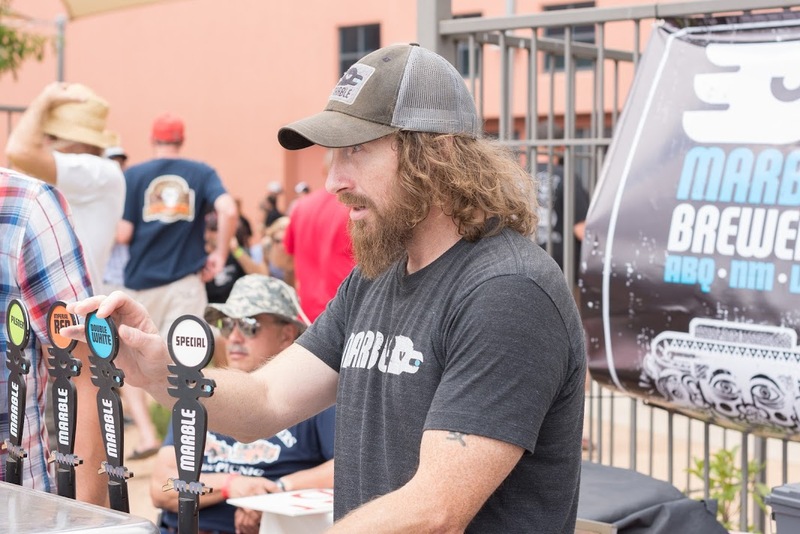 As one can tell from the list of in-state breweries, it is mainly those within spitting distance of the central Rio Grande Valley who are attending. Notables such as High Desert (Las Cruces), Spotted Dog (Mesilla), Roosevelt (Portales), The Wellhead (Artesia), 3 Rivers (Farmington), and Taos Mesa are absent. Well, only sort of absent, as Goblet explained. That Premier Pass/Tent is the bonus setup for this event. It costs $10 extra and you can either buy it in advance or upgrade at any time while you are at the festival. “So you’ve got your standard general admission of $20, a great price for a big, large-scale festival like this,” Goblet said. “You get your standard commemorative sampling glass with your two-ounce sampling line. It’s unlimited sampling like every other Guild festival. You can (also) purchase pints. “But because this festival has traditionally drawn so many people, we wanted to create an upgrade for folks who wanted to get out of the sun, get a bit of space, have a bit more of an intimate experience. Each day we’ll have four or five bars inside the Premier Tent. 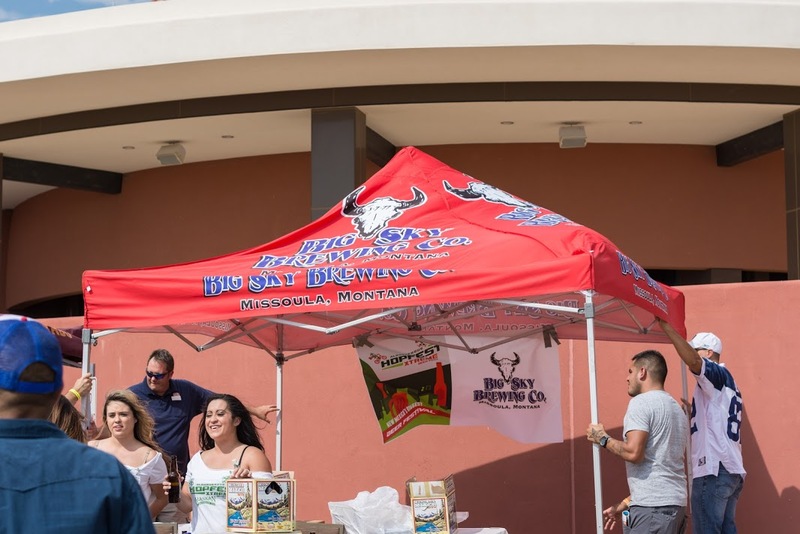 The Premier Pass gets you access into an air-conditioned tent with 20 different beers that are not available in the rest of the festival that you can sample and purchase. We’re looking for rare, obscure, unique, interesting beer styles that aren’t (readily) available, limited edition, maybe some barrel-aged specialties. Considering the recent temperatures around New Mexico, something with air conditioning just screams “VISIT ME!” That it will also have unique beers available means you will probably find the Crew there. As for getting to and from the event, fear not, in addition to bribing that one friend/relative/spouse to be your designated driver, they are encouraging every alternative means of transportation that people can come up with for the weekend. For the record, I got from ABQ to Kaktus, which is not far from the main site, in 10 minutes. But I drive like a lunatic. Just ask the rest of the Crew. There is a reason they will not ride with me unless absolutely necessary. Come Labor Day weekend, however, I think the Crew will take advantage of those special Rail Runner trains. We will see many of you there, of that I am all but certain. Greetings, everyone. Hope you are all well-rested now. If not, get on that. 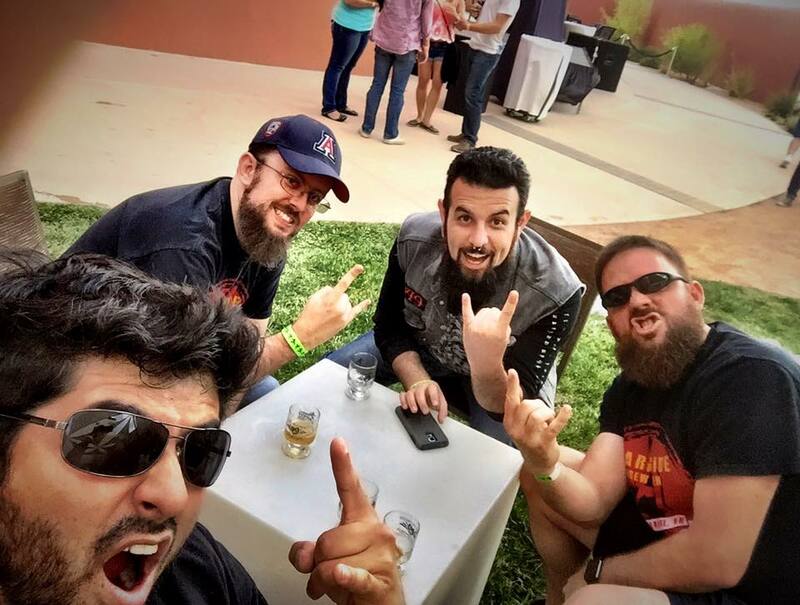 ABQ Beer Week was bigger and better than ever, but after 11 days of beer events, we all have to admit we are pretty darn tired. It was an exhausting affair. At least it was fun. So much fun. So much fun it is hard to put it into words. 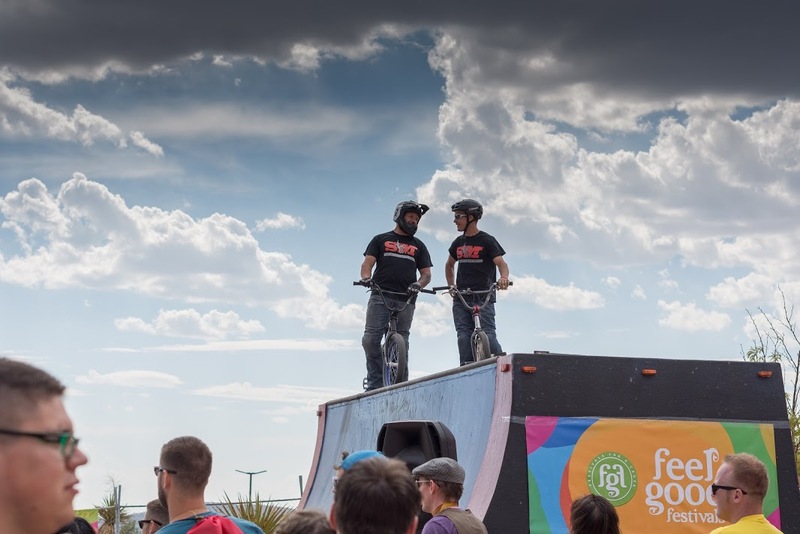 So much as Luke did with the Outside Bike & Brew Festival in Santa Fe, I just assembled a bunch of our photographs and used this as a wrap-up. Do not fret, however, we are not totally going to cop out on things. We did try a lot of beers, and while some were one-offs or specialties, we also tried a lot that you can get on tap or for sale in bottles/cans/bombers around town. The Crew will present our choices for the best beers of Beer Week. Just as soon as I get everyone to wake up and remember what they had. 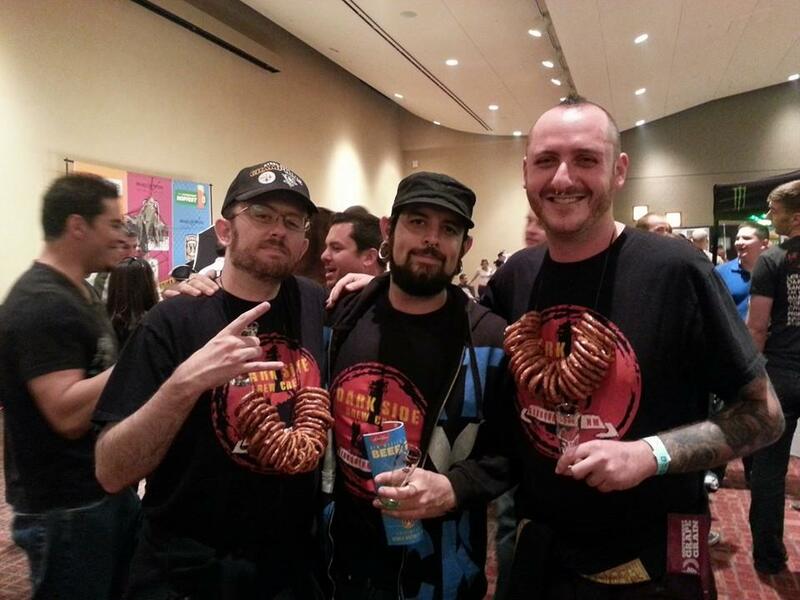 Without further rambling, here are our pics from ABQ Beer Week 2015. 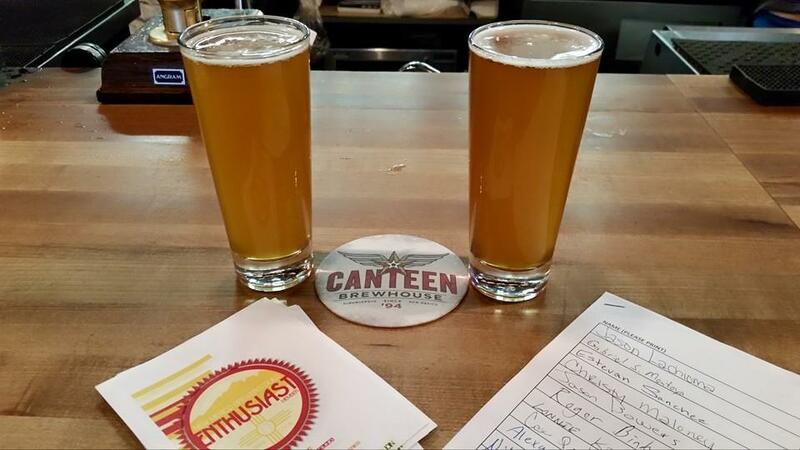 ABQ Beer Week kicked off with the simultaneous release of the 505 Collaboration Session IPA, left, and Canteen’s Hops-pitality IPA. 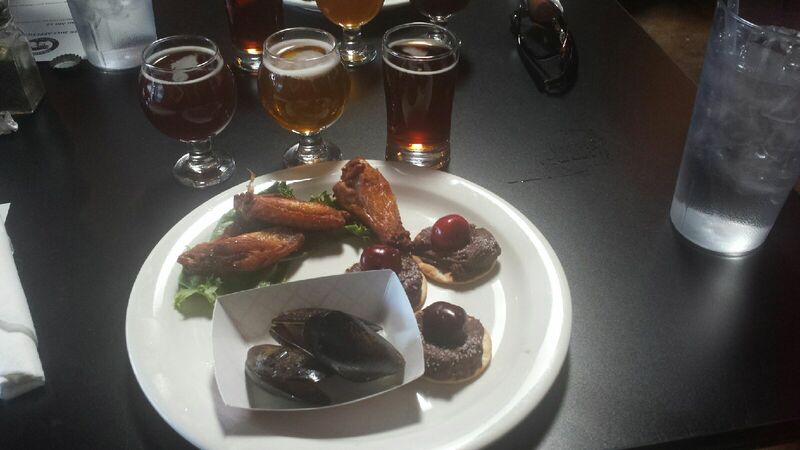 One of the many food and beer pairings over at Shade Tree Customs & Cafe, who brought their A Game to Beer Week. Two Fools did their fair share of tappings as well, including Hitachino Nest White Ale. New Mexico Craft Brewing came down from Las Vegas to stage a tap takeover at Stereo Bar downtown. We went bowling with the folks from Tractor. Um, we were rusty, that totally explained our scores. 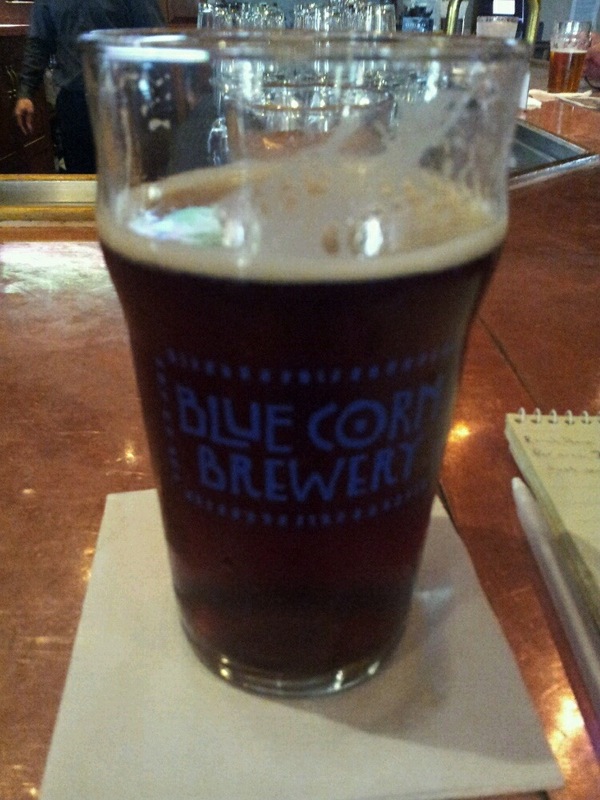 That and the Farmer’s Tan Red Ale. Nexus’ anniversary party was a huge hit, as if you couldn’t tell by the crowds. Nob Hill Bar & Grill was one of our favorite spots throughout Beer Week. Our friend Karim agreed, twas quite metal. 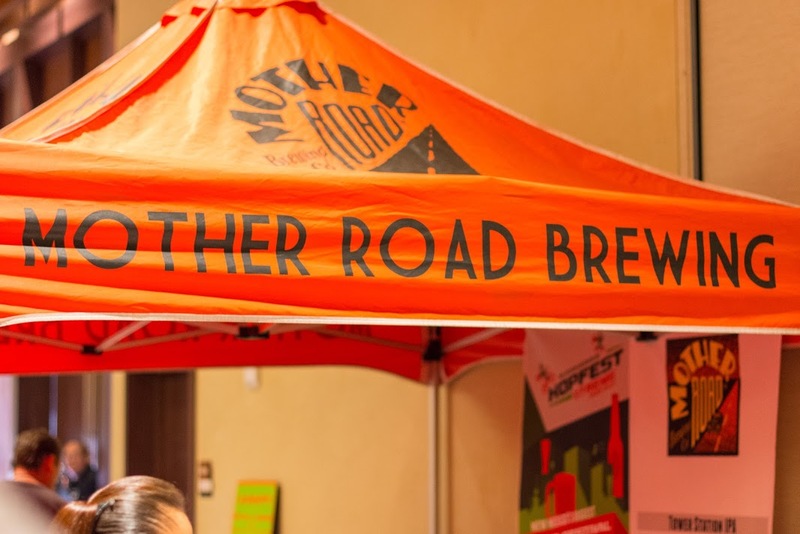 Mother Road brought their beers to Jubilation for all to try. Beer, Cheese, & More at Marble was a tremendous success. It was so nice, they did it twice. Food and beer goes together brilliantly sometimes. 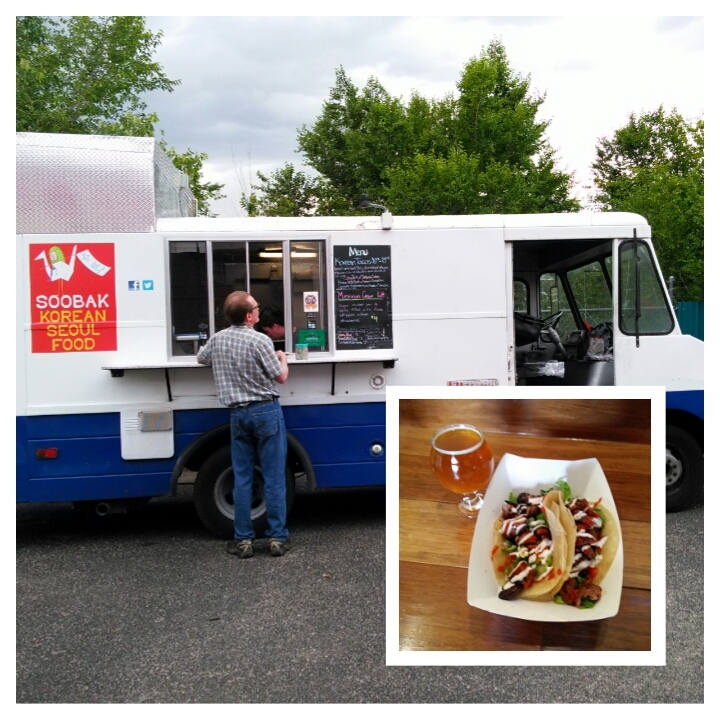 Red Door’s food truck battle was one outstanding example. 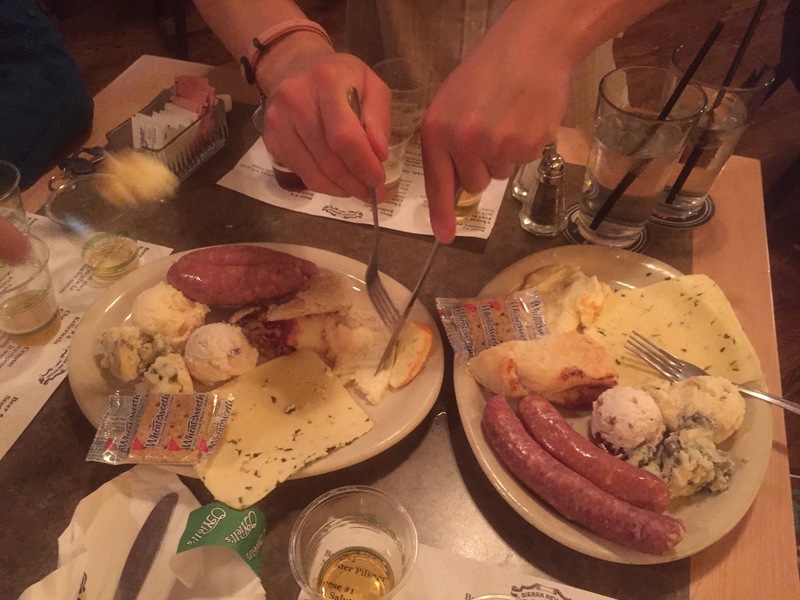 More food and beer, this time the Sierra Nevada Cheese & Sausage festival at O’Niell’s. Marble, Santa Fe, and everyone else brought their finest to Blues & Brews. The crowd was bustling at Blues & Brews, but it was a happy pack of beer drinkers. Firkin Brewhouse, which will open soon in the Brewery District, made a nice debut at Blues & Brews. Their Capo’s Java Stout was excellent. The Crew who attended Blues & Brews were a happy bunch. From left, Adam, Laura, Stoutmeister, Kristin, with the photo bomb from Karl. The Crew came up short in the second Battle of the Beer Geeks (congrats again to the Babes in Brewland! ), but we still had a great time, and not just because of Baby Bannon. 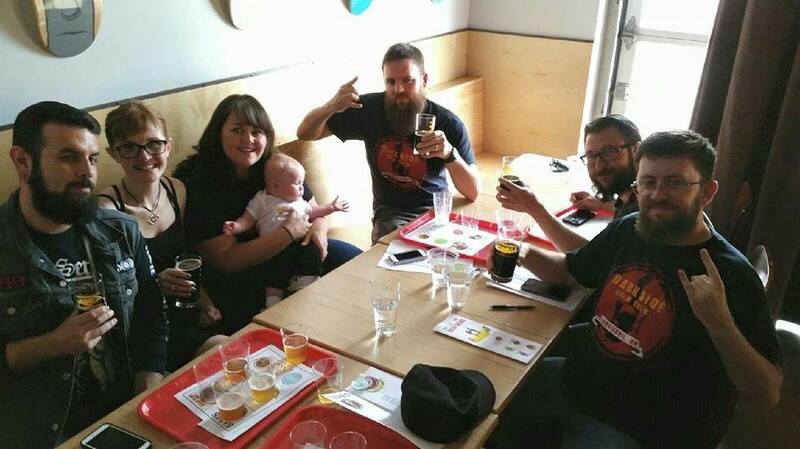 From left, proud parents Brandon and Taylor, Mrs. Solo, Franz Solo, John, and Stoutmeister all enjoying our Darkside Donutbrau. 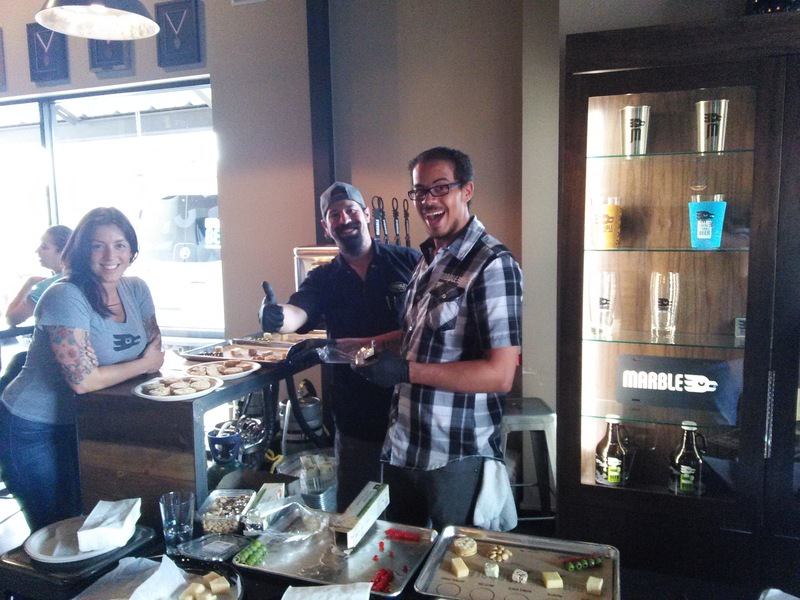 The Marble staff was all smiles throughout Beer Week, including at the second Beer, Cheese, & More at Marble Westside. 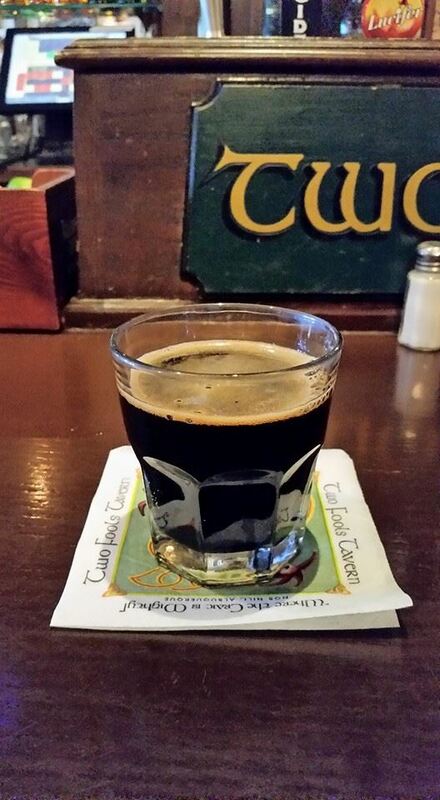 Another outstanding entry for Two Fools’ tappings was Goose Island Bourbon County Brand Stout. 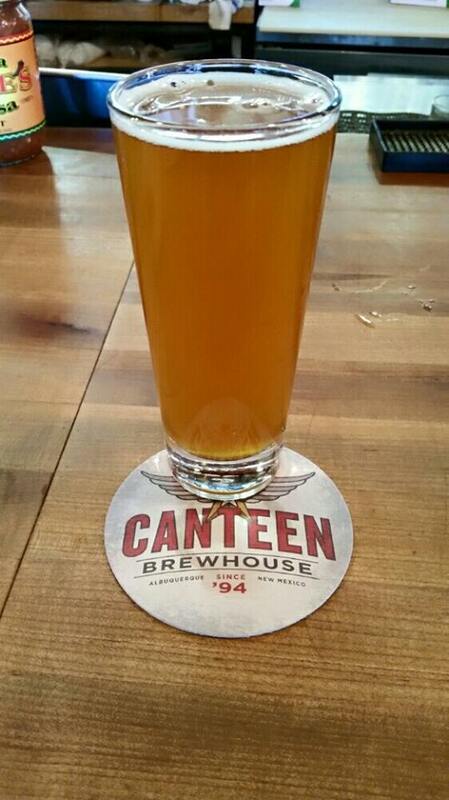 Hoppiness Envy, the collaboration IPA between Canteen and Bosque, was an amazing addition to the Beer Week fun. 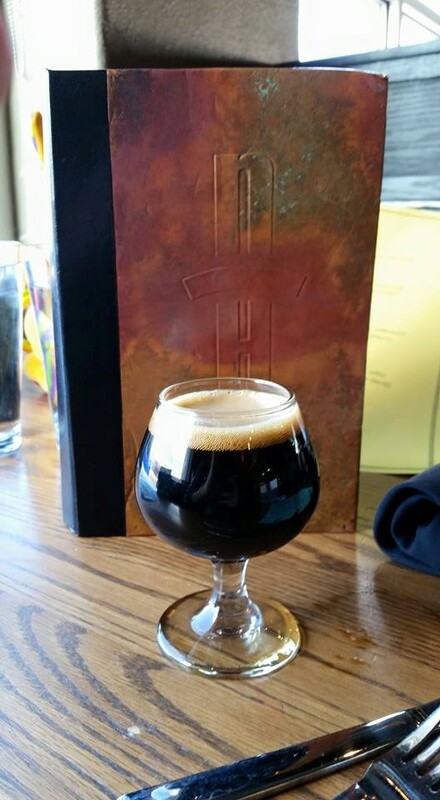 Avery’s Uncle Jacob’s Stout at Nob Hill Bar & Grill was a fitting finale for a couple of us. There are a lot of people to thank for all the fun of the past week-plus. I realize I will miss a few on this list, but here are the ones my tired mind could remember: Thomas DeCaro, Monica Mondragon, Silas Sims, Tony Calder, Angelo Orona, Skye Devore, Chris Goblet, Amberley Rice, Leah Black, Carlos Contreras, Zach Guilmette, Barbie Gonzalez, Ken Carson, Antal Maurer, John Bullard, Brady McKeown, Brandon Venaglia, Patrick Cavanaugh, all the bar and brewery staffs, the festival volunteers, all of you happy beer drinkers, and last and most importantly the amazing Marne Gaston. Thank you one and all! We will see you all around the breweries and upcoming festivals. 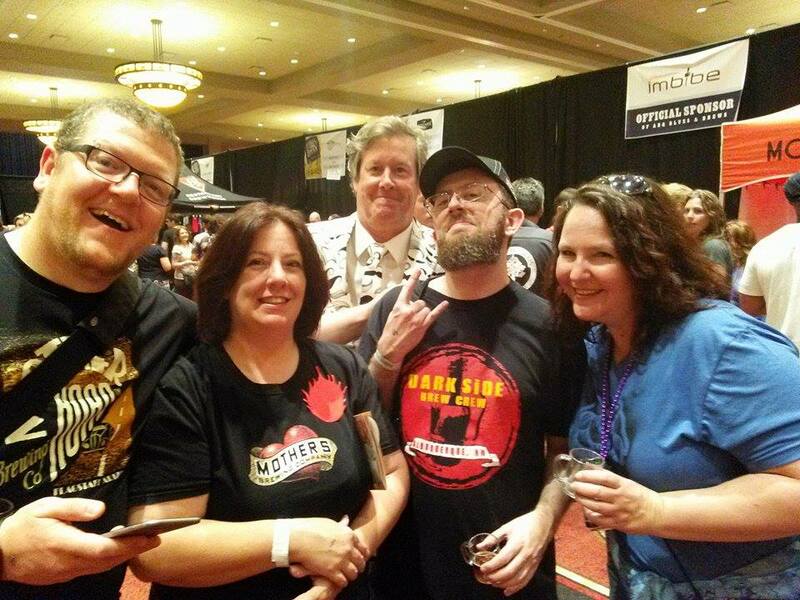 If you have any photos or stories you would love to share from Beer Week, email them to us at nmdarksidebrewcrew@gmail.com. 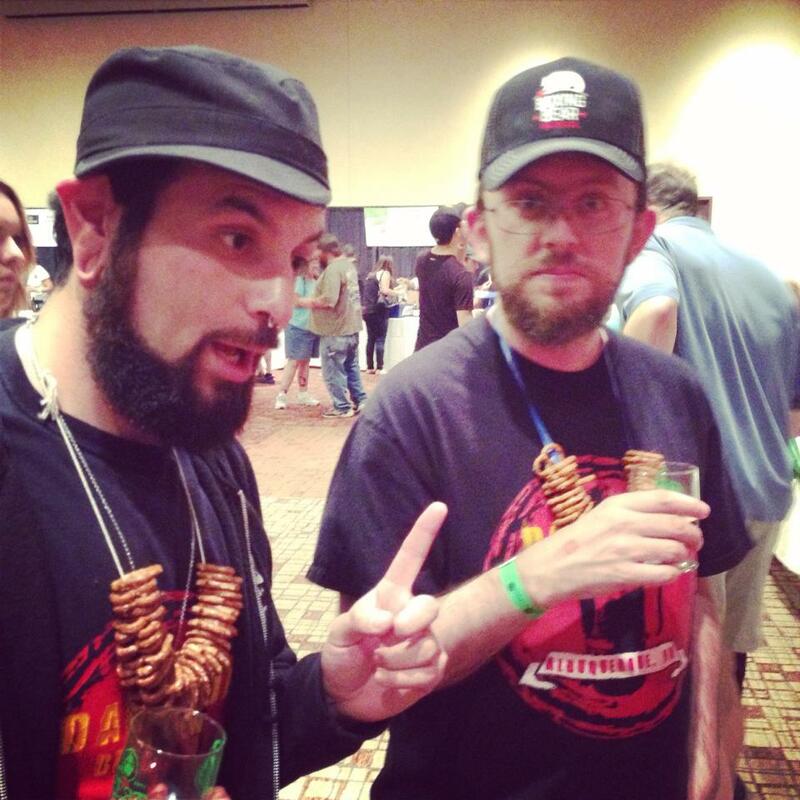 And yes, we are still taking signups for the NM Brewers Guild Enthusiast Membership. Just send us your name and email and we will add you to the list to give to the Guild. Blues & Brews is back and will again feature Adam, center, though Stoutmeister will replace Franz Solo on the right. Dr. Brews Banner might appear there again, too. 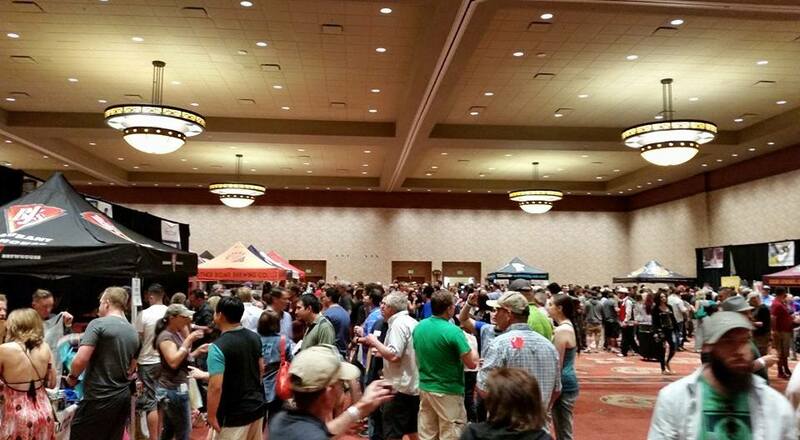 One of the highlight events for ABQ Beer Week every year is Blues & Brews, a gigantic festival held at Sandia Casino. This year’s event is set for Sunday afternoon, starting at 2 p.m. for VIP ticket holders and 3 p.m. for the general public. It is an unlimited sampling event, so make sure to be selective and careful when you are out there. It never hurts to have a designated driver or to call a taxi or Uber. You can still get your tickets online or at the Sandia box office. 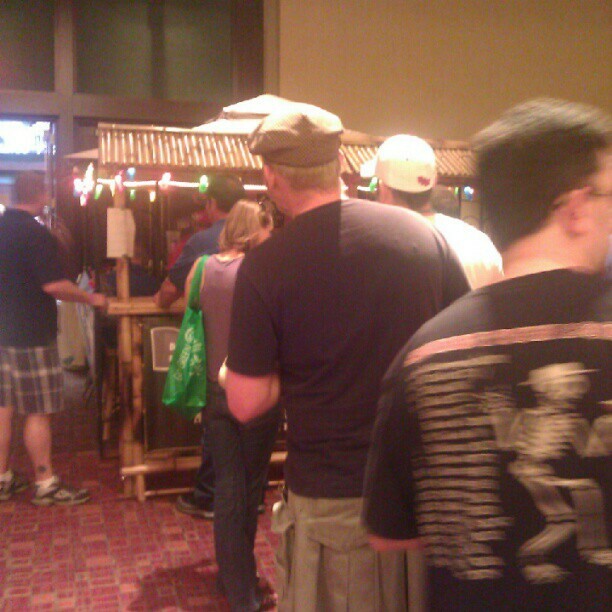 There are 70-plus breweries in attendance, a mix of local, national, and international. You can also listen to plenty of live blues music, as the name Blues & Brews might imply. So with so many places you can visit, you need to make a plan. No, seriously, make a plan, know which beers you want to sample. Some of these lists are from the guide from the B&B site, so they are subject to change. The in-state breweries have some good offerings besides just their usual stuff. Abbey Brewing: Monks’ Ale, Dubbel Reserve, Tripel Reserve, Dark Ale, Wit, Strong Pale Ale Reserve. The last beer on the list is a new one, but if that doesn’t fit what you’re looking for, the Tripel Reserve is always a delight. Canteen: Dougie Style Amber, Wet Mountain IPA, 28M American Wheat. Three classics, so take your pick. Personally, the GABF gold medal-winning Dougie Style is the way to go, but hopheads love their Wet Mountain. Duel: Marcel, Fiction, Bad Amber, Dark Ryder, Titian, Tantalus, Cezanne Printemp. Five classics from the Marcel (witbier) to the Titian (Belgian golden strong), plus two newer beers in the Cezanne (imperial saison) and the Tantalus, which will be making its debut. Plus, brewer Todd Yocham said he will be bringing some special beers out of the cellar again for this event. Kellys: Amber, Session IPA. It’s just their two canned beers, as far as we know. Marble: IPA, Red Ale, Pilsner, Double White, Brett Stout, Weizenbock, Rauchbier, Oatmeal Stout. Some classics plus a few seasonals. Everyone who has been reviewing the Brett Stout has been singing its praises. Here is your chance to do the same. Or if the Brett isn’t your thing, we highly recommend the Rauchbier. Ponderosa: Brunch Stout, Rosa’s Gose, Ghost Train IPA, Crosscut Kolsch. The Breakfast Stout was awesome. The Brunch Stout is its cousin. Yeah, sounds like a good bet. Red Door: Gateway Blonde, Broken Arrow Pale Ale, Trappe Door Wheat, Baby Got Bock, Roamer Red, Threshold IPA, Paint it Black Milk Stout, Unhinged Cider. They are taking their whole lineup over, because that is how much the Red Door staff loves us. For the seasonals, hard to go wrong with Baby Got Back. 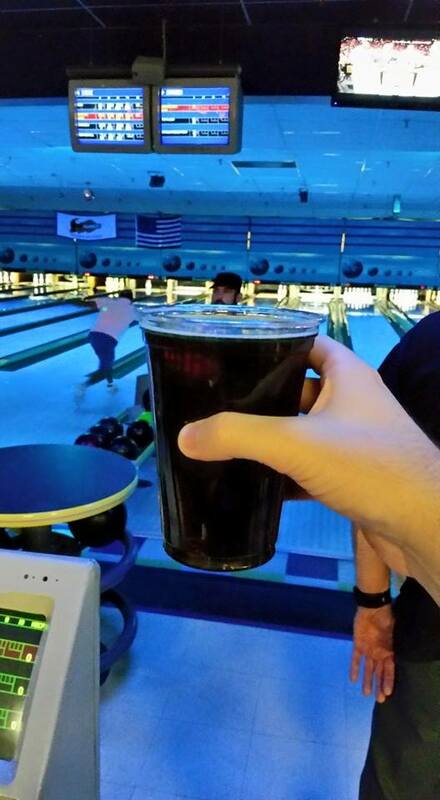 The Paint it Black is our favorite among the regulars. And for the gluten-free/cider-loving crowd, Unhinged might be the best in the state. Rio Grande/Sierra Blanca: Isotopes Slammin’ Amber, Bone Chiller Brown, Sun Chaser Pale Ale, Pancho Verde, Desert Pils, IPA, Alien Milk Stout. Plenty of staples from RG/SB, but the standout here is the Milk Stout. It was one of the better beers to stand out at WinterBrew back in January. Sandia Chile Grill: Rattlesnake IPA, Irish Red, Dirty Steve Mead. Brewer Clinton Coker has won numerous medals for his mead. So, yeah, grab a Dirty Steve. That sounds kinda wrong, but rest assured, it’s actually all right. Santa Fe: Happy Camper IPA, Black IPA, Imperial Java Stout, Freestyle Pilsner, Ever Changing Series #3. The folks at SFBC won’t say what the new ECS is, but we have a feeling it will be excellent. Just in case it’s not to your liking, they are bring four crowd favorites along. Tractor: Farmer’s Almanac IPA, Farmer’s Tan Red Ale, Mustachio Milk Stout, and TBD specialty beers. Odds are, we will go with one of the specialty beers (if we get an update, we will post it). Otherwise, Mustachio is the way to go. 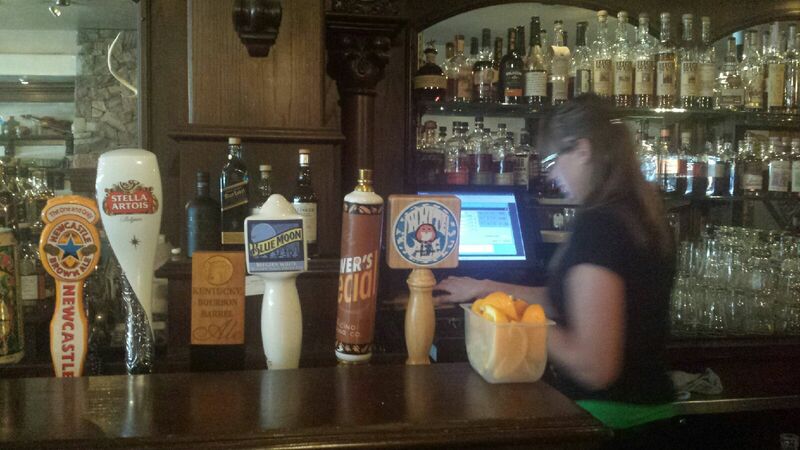 Firkin Brewhouse: Capo’s Java Stout, Magnum IPA, Giggle Water Wheat Ale. What’s this? A new ABQ brewery is debuting their beers? It appears so. Might have to try all three, but if time is an issue, go with the Java Stout, see how it stacks up against Santa Fe. Rather than list every beer they are bringing, it will just be a one-by-one listing of our pick for the best of the bunch. Good luck out there! Ballast Point: Sculpin IPA, though pretty much any choice would be good. We expect the line to be long here as the new guys in town typically draw well. Mother Road: They are tapping a special firkin right at 3 p.m., whose identity has not been disclosed. Otherwise, Lost Highway Black IPA. Omission: Just the IPA, but for your gluten-free friend(s), this is the one. Upslope: IPL, though again this should be a popular destination for everyone who has never had this newcomer to NM. Widmer Brothers: It’s just Upheaval IPA, but it’s a decent, middle-of-the-road example of the style. We will update this list for any TBA above. 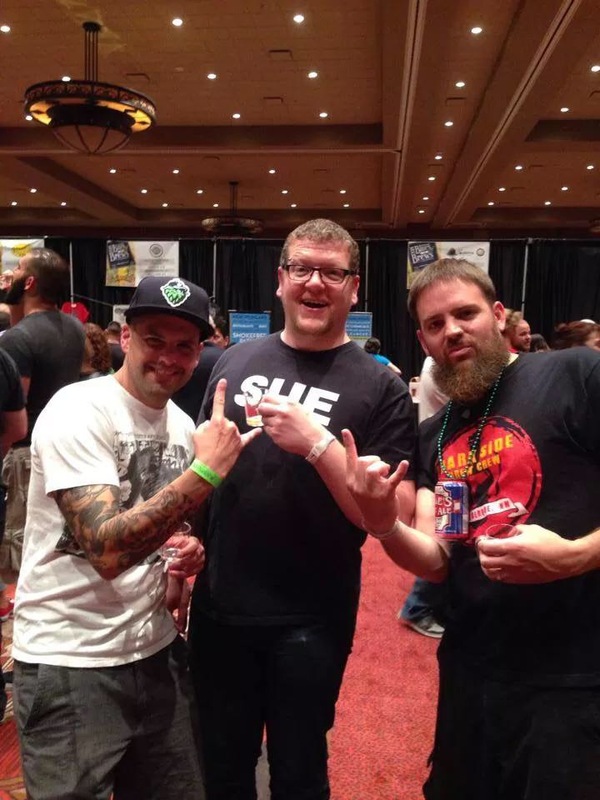 Adam and I will be both be at the event and we will have sign-up sheets for the new NM Brewers Guild Enthusiast Membership. All we are taking down are the names and emails of those interested. Hello, Albuquerque beer lovers! And everyone else coming to town. 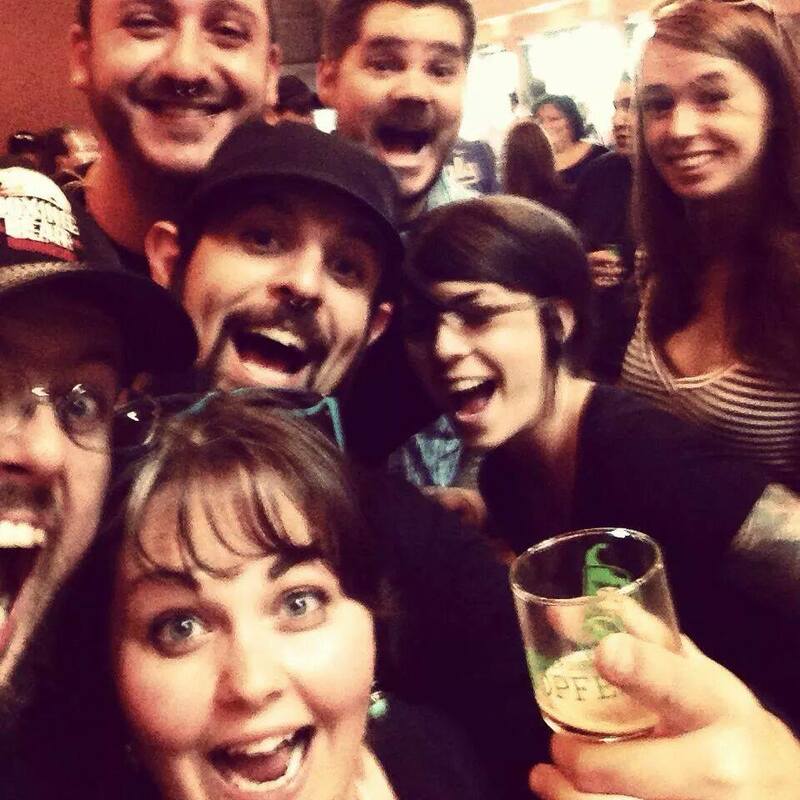 ABQ Beer Week is here, a monolithic, 11-day series of events (167 total!) that is all about expressing our love of craft beer. The entire Crew, plus some special correspondents, will be doing our best to cover as many events as we can. Are we going to be everywhere? No, but I can guarantee you that we will be previewing every single event every day. Day in and day out, we will summarize every event and give you all the info you need to know to plan your days and nights of beer-drinking fun. From time to time, we will run separate, larger previews for key events (most notably for Blues & Brews on Sunday and Battle of the Beer Geeks II on Monday). I have all of our active Crew members (myself, Franz Solo, Brandon, AmyO, Adam) working on stories, only Luke is exempt because, damn it, he has earned some time off for all of his hard work in Santa Fe. And, also, he lives in Santa Fe, so if he is going to come down here at all, we’re just gonna let him have some fun. Oh, and Reid is exempt as well since he lives in Los Alamos and is plenty busy working at the Labs and also writing up a preview of Bathtub Row Brewing’s grand opening and the upcoming Pajarito Mountain SummerFest. So on this day of 19 events, which one stands out to us? 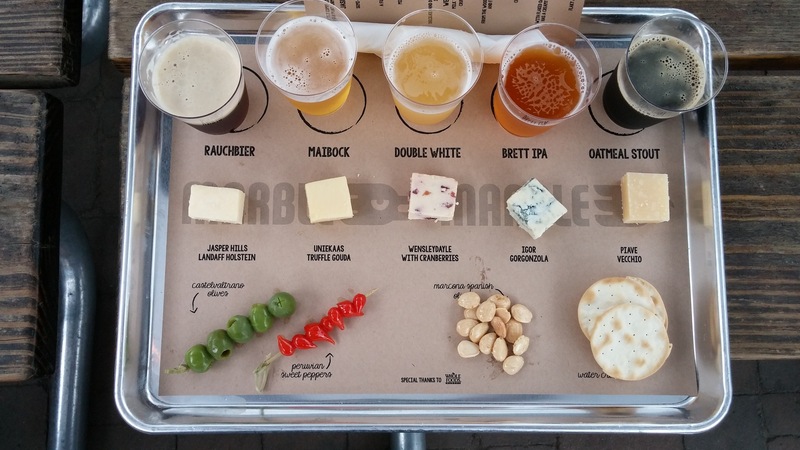 Why, that would be the annual Beer, Cheese, and More at Marble Brewery. 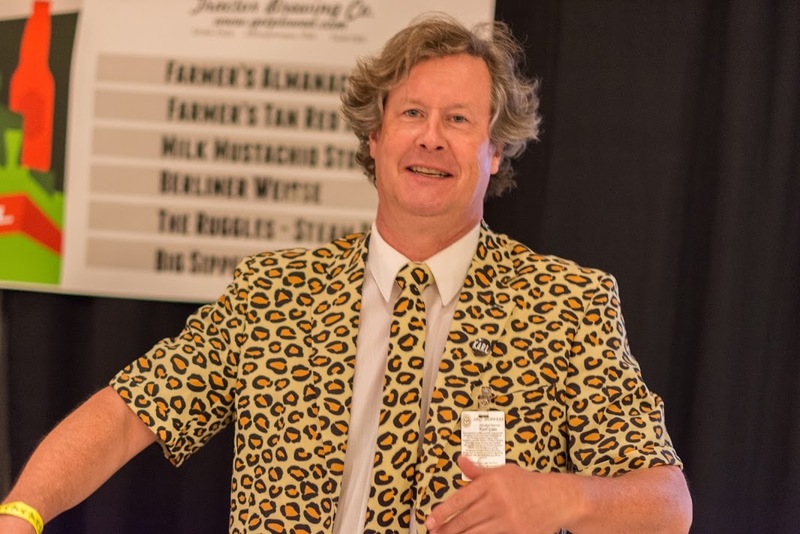 “Beer and cheese pair beautifully, and we like to highlight this each year with our annual beer and cheese event,” said Amberley Rice, Marble’s director of marketing, in an email to the Crew. This event costs $20 and reservations are highly recommended. Call Marble at (505) 243-2739, or sign up via their website. Sounds like some pretty good stuff. In addition, two of the top local bands, Porter Draw and Red Light Cameras, will split time on the patio stage from 7 to 10 p.m., weather permitting (if necessary they will crowd onto the small stage inside the taproom). Our special correspondent Kristin will have a full recap in the near future. Keep an eye out for it! What: Oude Orval: Cellared Orval Limited Release. Where: Shade Tree Customs & Cafe. When: All day. RSVP only for cellared Orval. Others may attend and while it lasts will receive the new, but not cellared, Orval. Cost: $10. Details: As of the Monday, there are two spots left for the cellared Orval. If you RSVP, it will be set aside with your name on it. To RSVP, email shadetreecustoms.cafe@gmail.com. According to Shade Tree General Manager Josh Berry, there will be a food pairing offered at an additional cost (cost and item description unavailable at time of preview). Why you should go: Because we don’t all have a beer cellar with Oude Orval in it, do we? Plus, a Merchant du Vin representative will be there. What: Hopspitality IPA Release. Where: Canteen Brewhouse. When: All day. Cost: No cover charge. Details: The annual specialty IPA is back for Beer Week and will be on tap when the doors open at noon. Why you should go: Start your day off right with a pint of this and a Piggly Wiggly for lunch. At least that is my plan. What: 505 Collaboration Beer Release. Where: Boxing Bear, Canteen, Chama River, La Cumbre, Marble, Nexus, Ponderosa, Turtle Mountain. When: All of Beer Week or until supply runs out. Cost: No cover charge. Details: I got to be on hand when this year’s 505 was brewed at Chama River. They only made 10 barrels divided among eight breweries, so the supply will go fast. This is a session IPA in name only. Josh Trujillo, Zach Guilmette, and everyone else hopped the holy living hell out of this thing. You’re welcome, hopheads. Why you should go: Dear lord, you need a reason for this one? When has the 505 disappointed you, I ask? That’s right, go get some. What: Blue Moon Summer Honey Wheat Tasting. Where: Total Wine (both locations). When: 1 to 3 p.m. (Cottonwood), 4 to 6 p.m. (Uptown). Cost: No cover charge. Details: Stop by either Total Wine to try some samples of Blue Moon’s summer seasonal. Why you should go: Free beer samples. Need we say more? Plus, you can always stock up on take-home beers while you are there. What: Thirsty Thursday Beer & Pizza Special. Where: Cazuela’s. When: 2 to 6 p.m. Cost: $7.99. Details: You get an 8-inch pizza of your choice paired with either Acapulco Gold, Piedra del Fuego (our pick), or Panama Red. Why you should go: If you are out on the west side and looking for something to eat and drink before heading into town for the other events, how can you beat this offer? What: Brouwerij St. Bernadaus & Brouwerij Verhaeghe Tasting. Where: Jubilation. When: 4 to 6 p.m. Cost: No cover charge. Details: Samples of two of the finest beers from Belgium will be available for free. Why you should go: Prep your palate for the rest of the night, plus you can always pick up some beers for after hours once you have safely returned home and are done being out for the night. You know Jubilation will have plenty of awesome offerings. What: Wild Beer Co. Somerset Wild Sour Ale Release. Where: Sister Bar. When: 4 to 7 p.m. Cost: No cover charge. Details: All the way from the U.K., Wild Beer’s Somerset Wild Sour Ale will make its ABQ debut. Why you should go: See how the English take on a sour ale and compare it to some of the more popular American versions. Take note, there are live bands performing after 9, so make sure to clear out before then to avoid paying the $7 cover (unless you want to stay and listen, of course). UPDATED >>> What: La Cumbre Special Firkin Tapping. Where: Two Fools Tavern. When: 5 p.m. until the supply runs out. Cost: No cover charge. Details: Two Fools listed it as a Strawberry Cream Ale, but LC brewer Jeff Erway said it is almost certainly the Strawberry Gose that was released on Wednesday, ableit in cask form. NOPE. It’s actually a Strawberry Malpais Stout. Why you should go: It’s a special new LC beer, on cask no less, at a place that serves amazing food and has plenty of other beer on tap. Do you really need a reason? What: Colorado Brewing Tasting. Where: O’Niell’s Nob Hill. When: 5 to 7 p.m. Cost: No cover charge. Details: Brace yourselves for not one but three Colorado breweries’ offerings all available for sampling at the same time. We do not have a list of the exact beers, but between Left Hand, New Belgium, and Oskar Blues, there will be plenty of options. Why you should go: Dude, it’s three breweries’ wares being sampled at one location. Plus, you can stick around and fill your belly with delicious food to help soak up all the beer. 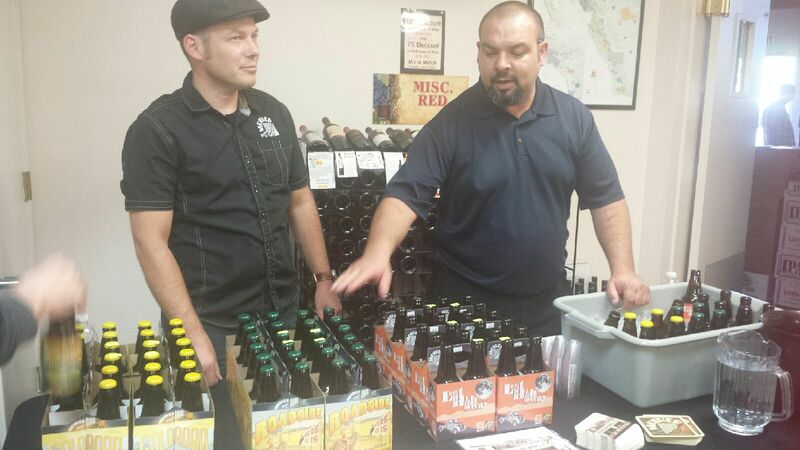 What: Second Annual Sierra Nevada Sausage & Cheese Tasting. Where: O’Niell’s Juan Tabo. When: 6 to 8 p.m. Cost: $5 for sausage and cheese tray (beer not included). Please reserve tickets by calling (505) 293-1122. Details: Buy a tray of sausage and cheese, then go off the list of suggestions with which Sierra Nevada beers go best with which food items. Why you should go: Expand and educate your palate, especially for those who can’t/won’t get out of the Northeast Heights. It’s food and beer. Trust us, they go great together. What: Left Hand/New Belgium Special Tappings. Where: Nob Hill Bar & Grill. When: 6 to 11 p.m. Cost: No cover charge. Details: Not one but two special beers will be tapped in the form of Left Hand’s Oak Aged Wake Up Dead imperial stout and New Belgium’s Cocoa Mole. Why you should go: They oak-aged some Wake Up Dead. Holy mother of … anyway, that plus a spicy kick of mole with some cocoa in the NB concoction will make us some happy drinkers. 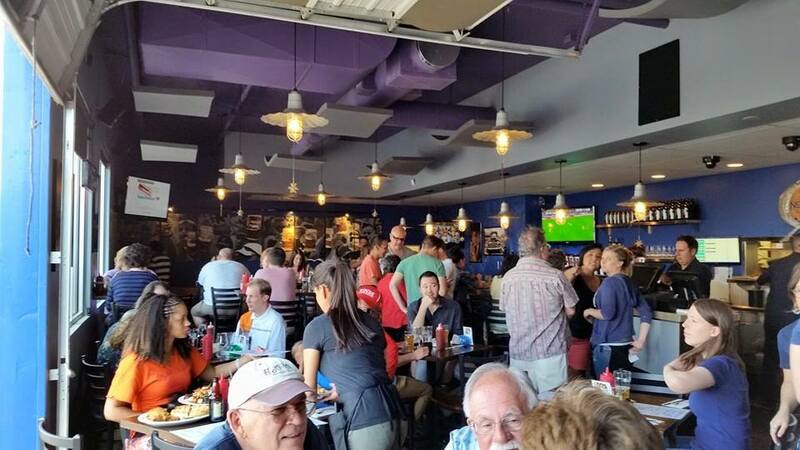 What: ABQ Beer Week Dinner. Where: Chama River. When: 6:30 to 8:30 p.m. Cost: $45 per person. Reservations required, call (505) 342-1800. Details: Chef Goza and Brewer Zach’s first beer dinner collaboration is a doozy. The theme here is spring itself. For your $45, you get Shoulder of Spring Pig paired with Rio Chama Amber Ale, Spring Salad with Class VI Golden Lager (2014 GABF gold medal winner), Butter Poached Black Cod with Midas Well IPA, Spring Lamb with Smoke ‘Em Out Porter, and Spring Fruit Shortcake with Lemon Jester Saison. Why you should go: Because fat (for the night), drunk (please get a DD), and smart (see the previous two) is the way to go through life. What: Oskar Blues Special Tapping. Where: Rock & Brews. When: 7 to 10 p.m. Cost: No cover charge. Details: Old favorites like Mama’s Lil’ Yella’ Pils and G’Knight will be on tap, plus Old Chub Nitro and a special, surprise beer. Why you should go: Who doesn’t like surprises? Plus, even if that isn’t to your liking, Old Chub Nitro should be to everyone’s liking. What: Thirsty Thursday. Where: Tractor Wells Park. When: 8 to 10 p.m. Cost: No cover charge. Details: Local musician Keith Sanchez will perform. Why you should go: After all that fun, wouldn’t you just like to kick back at Wells Park? Enjoy some tunes, sip on your last pint of the night, and let all your worries melt away. Oh, and we recommend calling in “sick” on Friday. Well now, wasn’t that just a fun way to spend a Saturday? 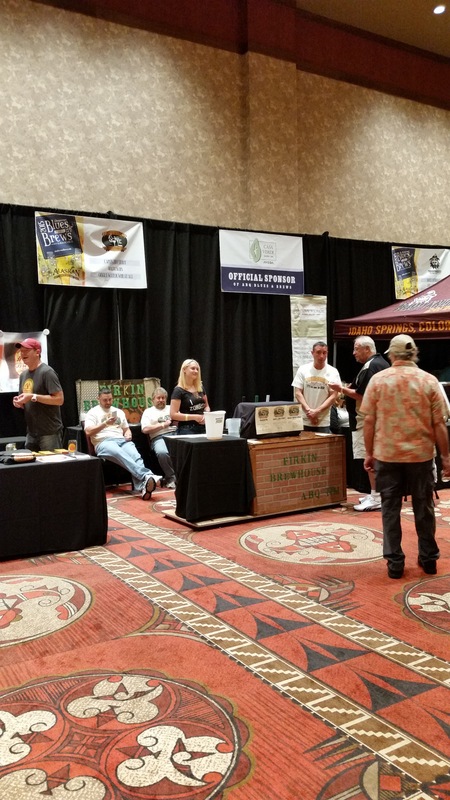 The seventh annual Hopfest went down at Isleta Casino, with a lot of beer choices (seriously, a lot) to sort through. For all four original Crew members, plus at least two from the Bullpen, and our assorted friends, we’re pretty sure we collectively tried about half the beers. The sample glasses seemed a little bigger this year, so things got kinda … fuzzy … toward the end. Luckily, Brandon’s awesome lovely super girlfriend Taylor was able to drive us home (while adding to her ever-lengthening list of beers owed to her after the baby arrives next year). Hopefully everyone else got home safely, be it via a designated driver, the RailRunner, a taxi, or just by staying overnight at Isleta. How can you not trust faces like these when it comes to getting advice on what beers to drink? So long after our annual post-Hopfest noshing at Two Fools, I sat down with my heavily marked-up event program and got down to the business of adding all those beers to Untappd. It took a while and the better part of my battery (hence why I waited till I got safely home). As per usual, here are the best beers of the festival, in my humble opinion, and the opinions of the others who were present (well, mostly Brandon and I; Mrs. Solo and Porter Pounder were back hard at work all week). Sorry for taking so long to get this posted. Before the listing, a special thanks to everyone involved in Hopfest. From the tireless work of organizer Marne Gaston, her right-hand woman Monica Mondragon, and their army of volunteers, twas a nearly flawless afternoon. Thanks to all the brewery reps who were there as well. We enjoyed catching up with some of you when we had the chance. And now the Best of the (Hop)fest beers, or what you should be seeking out at local breweries or beer stores or beer bars. We divided them between local, national, and international. 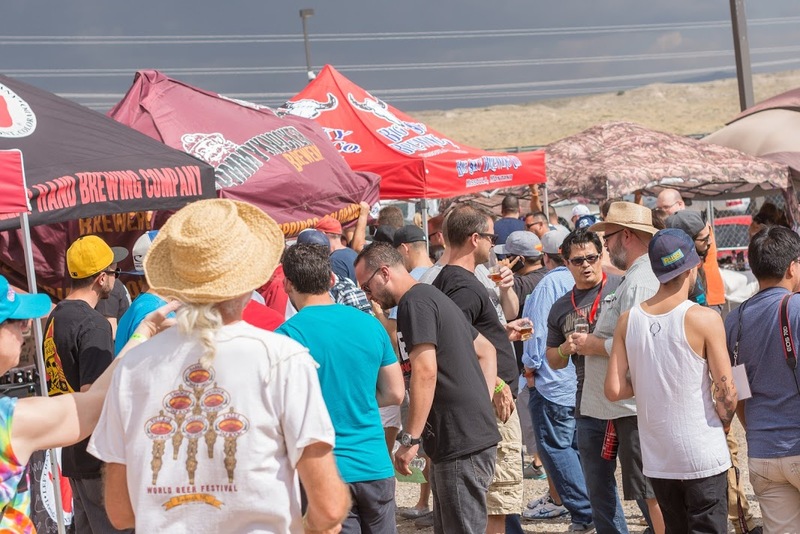 There were a fair number of local breweries who participated, including Back Alley, Chama River, Pi, Ponderosa, Red Door, Tractor, plus NM Craft Brewing came down from Las Vegas, and stalwarts like Santa Fe Brewing, Rio Grande/Sierra Blanca, and Taos Mesa were in attendance as well. 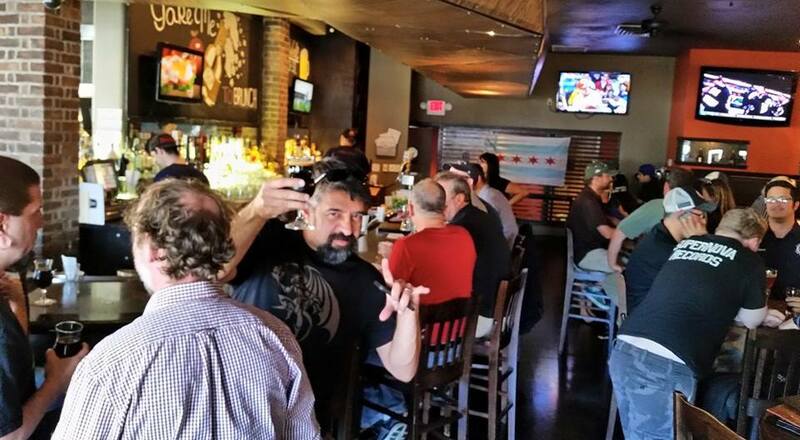 Not sure what beer caused this reaction, but the odds are good we have it listed here. While some of the mass-distributed beers were more of the same, there were some notable new brews (or at least new to us) that were available. And at least a few longtime Crew favorites. Mother Road’s Lost Highway Black IPA & Red Rye Ale: I already wrote a few months ago about how much I enjoyed Mother Road when I visited Flagstaff. It was definitely the class of a small but quality brewing scene. Lost Highway was my favorite of their house beers and it’s still top quality. It leans toward the maltier side of black IPAs, though there are enough hops to keep you awake. As for the Red Rye, that was a new one for me. The rye was a bit more subtle than I had expected, though they were running it through a Randall with fresh-picked Cascade hops, so that certainly altered the original flavor. I’d love to go back and compare this version to the original. There were a lot more beers brought in from around the world, including a whole slew of foreign ciders. Another Hopfest is in the books. We hope you all had as much fun as we did. 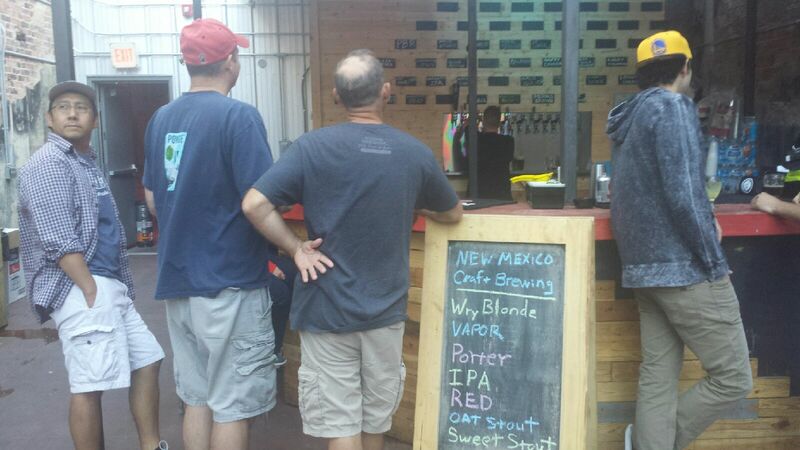 We will see you around the breweries for the next couple weeks before we all gather again at NM Brew Fest on Oct. 11.